Made with SUPER luxurious and lush yarn, the Ribbed Velvet Knit Cowl is going to be your favorite knitting project and go-to accessory all winter long! Hello and happy Tuesday! 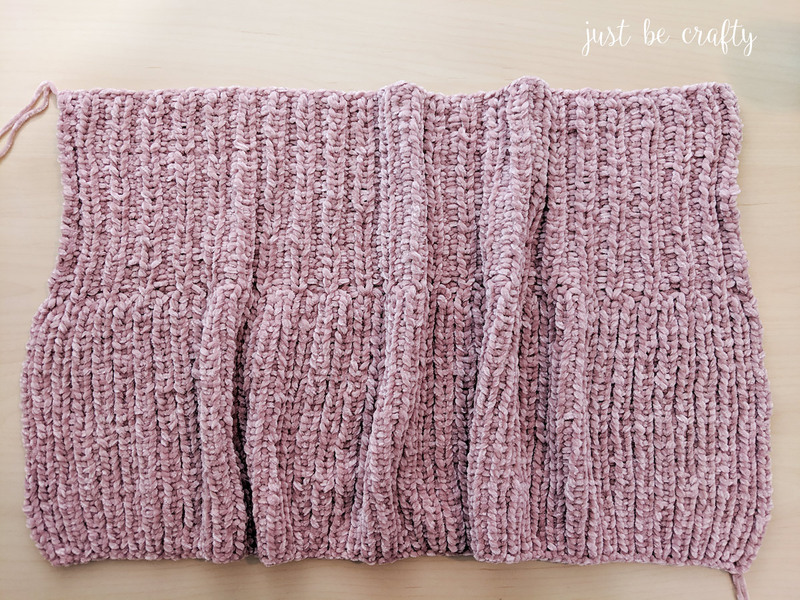 Today I am sharing another new pattern with you – the Ribbed Velvet Knit Cowl! This is a quick and fairly beginner friendly project that ends up looking like something you would buy in the store for lots of $$ and totally doesn’t look handmade!! 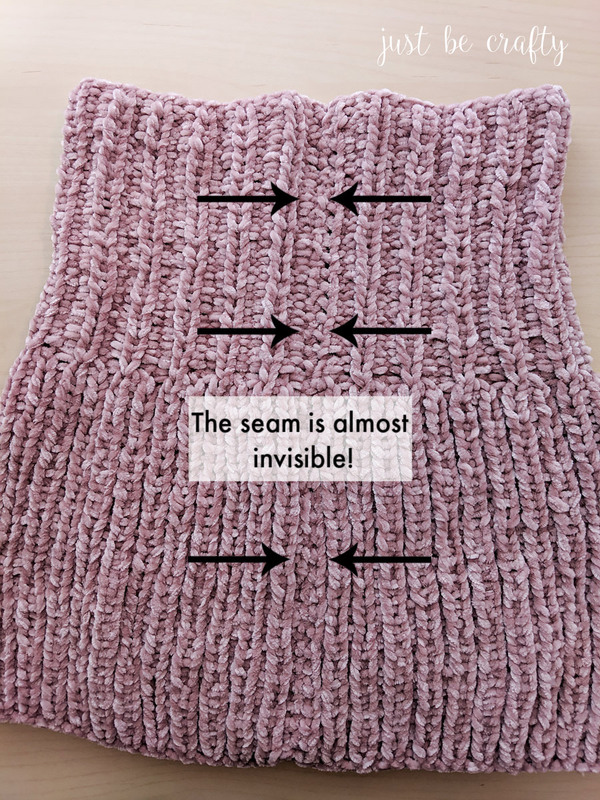 The pattern is designed with a simple ribbing construction. 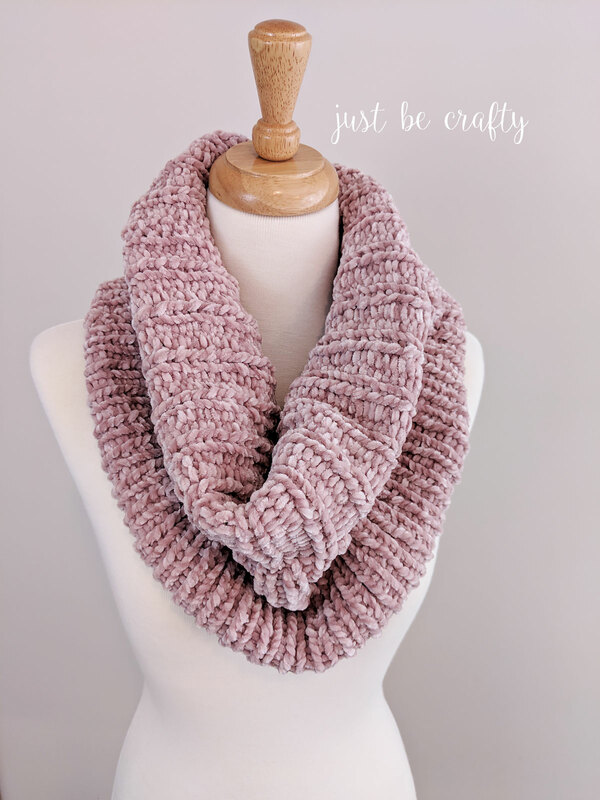 Although simple in construction, I switched up the design a bit to feature two types of ribbing to give the cowl a subtle transition between the top and bottom. 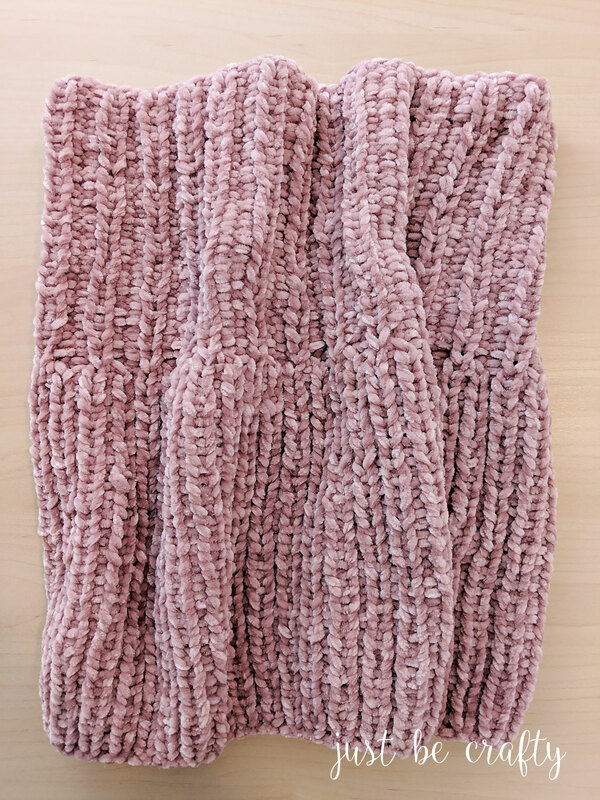 The bottom is knitted in 1 x 1 ribbing and the top is knitted in 1 x 2 ribbing, which gives the piece a little added dimension without complicating the project! 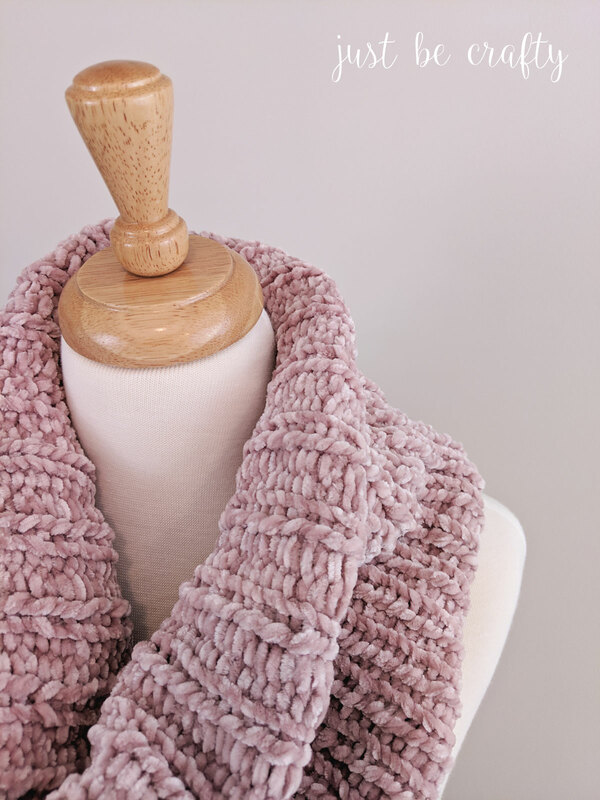 The Ribbed Velvet Knit Cowl is made up with a new yarn from Lion Brand called Vel-Luxe and is absolutely beautiful! The different color options of this yarn are exquisite and because it’s velvet, it has a total 90’s vibe (which I LOVE)! Back in the day I had a few sweaters made out of this velvety-type material, so working with this yarn was a complete blast and really took me back. The finished project makes for a beautiful and luxurious piece that you will want to wear everyday – trust me!! 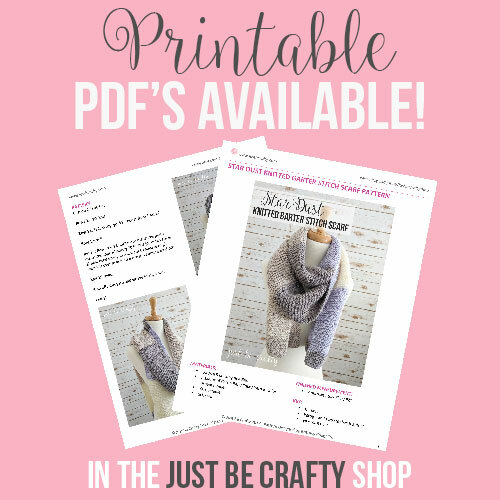 To view the free pattern and make a cowl of your own, keep on scrolling :). US size 10 Circular 29 Knitting Needles – 29 inches or this interchangeable set that I often use as well! 12 stitches by 16 rows of 1 x 1 ribbing is equal to approximately 4 inches. For this pattern, you will be working with both yarn skeins at the same time by knitting two strands together throughout the entire project. Repeat Rows 1 & 2 in 1 x 1 ribbing until piece measures approximately 9 inches from starting edge, ending after completing an even numbered row. Do not cut yarn, keep knitting as normal following below instructions. Repeat Rows 1 & 2 of 1 x 2 Ribbing until until piece measures approximately 15 inches from starting edge, ending after completing an even numbered row. Loosely BO in 1 x 2 ribbing. Cut yarn leaving a long tail (about 3 arm’s length). Lay piece out in front of you with RS facing up and 1 x 2 ribbing at the top. Fold in half so that the two side edges are touching. The WS should be facing outward with the RS inside the fold. 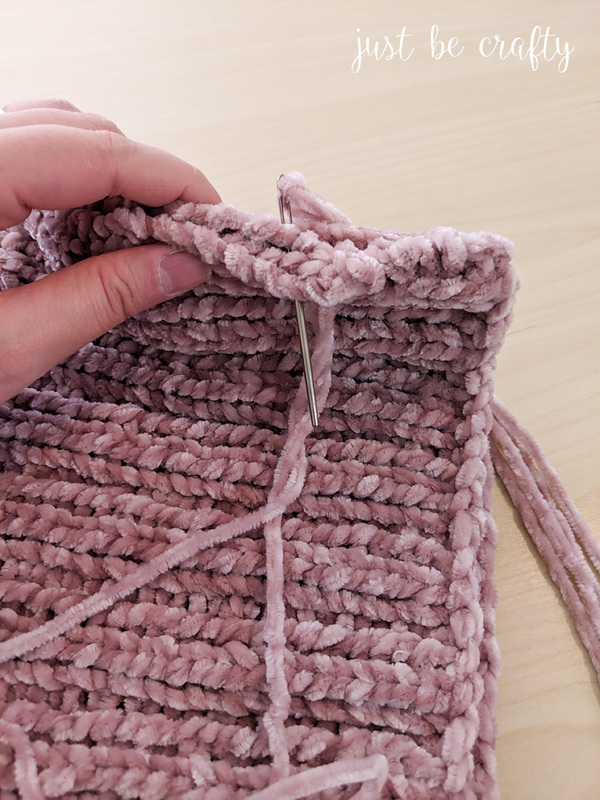 Using long tail and yarn needle, whip stitch both sides together to form the cowl. Why don’t you just knit it in the round so you don’t have to seam it together? Would accomplish the same thing with less work. HI Barbara! Thank you for your comment! Yes, you could totally knit this in the round but as with many things there are always multiple ways to reach an outcome. Knitting it flat is more beginner friendly and that is what I was going for with this pattern. Thank you, Brittany! You’ve inspired me to try this as my next project. It’s beautiful. Knitting two strands together likely solves the problem of worming. I used this yarn on a scarf with size 10 needles and though it’s beautiful, sometimes the stitches come loose to create a worm effect. I used only one strand at a time. I still have some I dark blue so I’ll give your pattern a try. Hi Pam! I think you’ll notice that your stitches will remain more even using both strands and the size 10 needles. Please let do let me know if you give the pattern a try!